The Hope College Board of Trustees appointed two new members during its May 2018 meeting. Hope College is located in Holland, Michigan. Newly elected to serve four-year terms on the board are Dr. Virginia Beard of Holland and the Rev. Grace Claus of Lake Forest Park, Washington. Virginia Beard is an associate professor of political science at Hope, where she has taught since 2007. 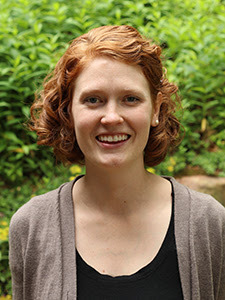 Grace Claus, who graduated from Hope in 2010, has served the Reformed Church in America (RCA) as managing editor of RCA Today, the denominational magazine, since 2015. Prior to editing the publication, she was at Hope for two years as an interim chaplain of discipleship along with her husband, Dan, who is also a 2010 Hope graduate. From 2010 to 2013, she was also a pastoral intern at several RCA churches: Pillar Church, Fellowship Reformed Church and Third Reformed Church in Holland, and First Reformed Church in Oak Harbor, Washington. She has also worked as a freelance editor for Zondervan Publishing. She holds a bachelor’s degree in English from Hope, and a Master of Divinity degree from Western Theological Seminary. Claus is a volunteer in the college’s Alumni Career Resource Network, and has also provided externship opportunities for Hope students. While living West Michigan, she also participated in the Grand Rapids Living and Working career-networking events. During her years in Holland, she was a member of the Ottawa County Food Policy Council.